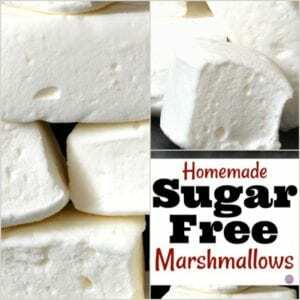 A while back I had a reader who asked How to Make Sugar Free Marshmallows . This inquiry was because she was concerned with the malitol that is in products that are for sale. I have used sugar free marshmallows in the past recipes. 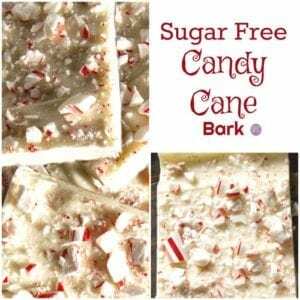 You may remember seeing marshmallows in my Sugar Free Rice Krispie Treats or my Sugar Free S’More recipes. Marshmallows are just one of those yummy treats that we have to give up when we opt to cut out sugar from our diet. I certainly remember the agony of having to avoid a S’more one summer at a barbecue because of the sugar in it. I mean, sure there are (at least) three layers of sugar in an average S’More. But, they are also synonymous with a summer cookout. Needless to say, it was a happy day for me when I discovered that there is a such thing as sugar free marshmallows. You can easily buy your own sugar free marshmallows online. While they are not as inexpensive as regular marshmallows, they are more convenient than making your own. Also, I like that they often come in colors. Sometimes however, you want to have control over the ingredients that you put into what you make. Thus, making your own marshmallows can be a good idea as well. The big problem for us is that marshmallows are normally made with corn syrup. Corn syrup contains sugar. Thus we need to work around this. 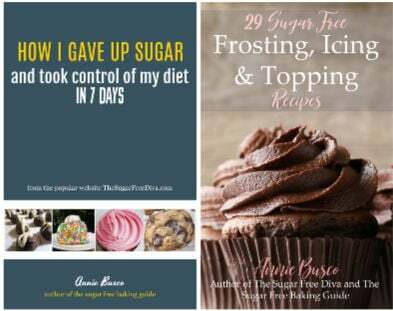 Want to learn more about using sugar alternatives? This is basically a gelatin based recipe rather than a recipe that calls for a bunch of ingredients that you may not be about to pronounce or spell (I speak for myself here). Sugar free powdered sugar- enough for dusting your pan with. Gelatin Packets – 2 unflavored. it is easiest to use packets rather than measuring your own. You can find gelatin packets online. Each packet is about 2 tablespoons. 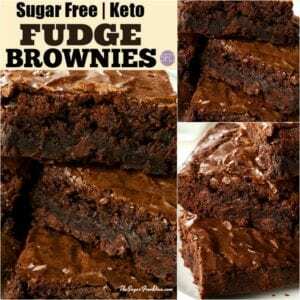 Be sure to use unsweetened gelatin. Water- 1/2 cup cold water. Sugar alternative- granular works best. 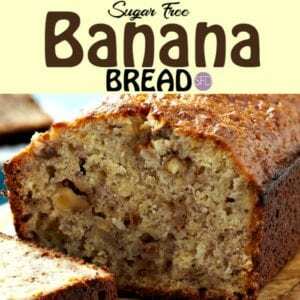 Use the equivalent to 2 cups of sugar. Prep a non metal baking dish with sugar free powdered sugar and then set this aside. In a mixing bowl (that you will be using with a mixer later on), combine together the gelatin packets and 1/2 cup of the cold water. Allow this to sit while you continue to work. Meanwhile, in a sauce pan set on medium, combine together your sugar alternative, optional salt and the remaining water. Stirring as you go, allow this to just about bubble( 8-10 minutes). Remove this from heat and stir in the vanilla extract. Now, start your mixer on slow (whisk attachment works best for me) with the first bowl that you had set aside. Gradually pour the contents of the second bowl along the inside of the mixing bowl. Allow the mixture to double in size- takes about 12-14 minutes in the mixer. Once the mixture has doubles in size, you can pour it into your prepped pans. Some folks like to sprinkle additional powdered sugar (alternative) on top of this. Allow it to cool uncovered before cutting into squares. Store your marshmallow covered in the refrigerator. Make your own sugar free marshmallows with this recipe. Then, you can use them in recipes such as my sugar free s'mores or cereal treats! Gelatin Packets - 2 unflavored. it is easiest to use packets rather than measuring your own. You can find gelatin packets online. Each packet is about 2 tablespoons. Be sure to use unsweetened gelatin. See post for ingredient details etc. Have you tried toasting these? Hi. Not on a campfire as of yet. Thank you! Please let me know how that marshmallows work out for you in those recipes! What size baking dish should be used? Hi. Really as long as it is a nonmetal dish- such as a 9″ square baking dish- you should be okay. thanks! thanks for sharing this yummy creation with us.